The shortlists for each category in the The Best FIFA Football Awards 2018 will be announced every hour starting at 13:00 CAT, beginning with the candidates for The Best FIFA Women’s Coach and concluding with those for The Best FIFA Men’s Player at 16:00 CAT. 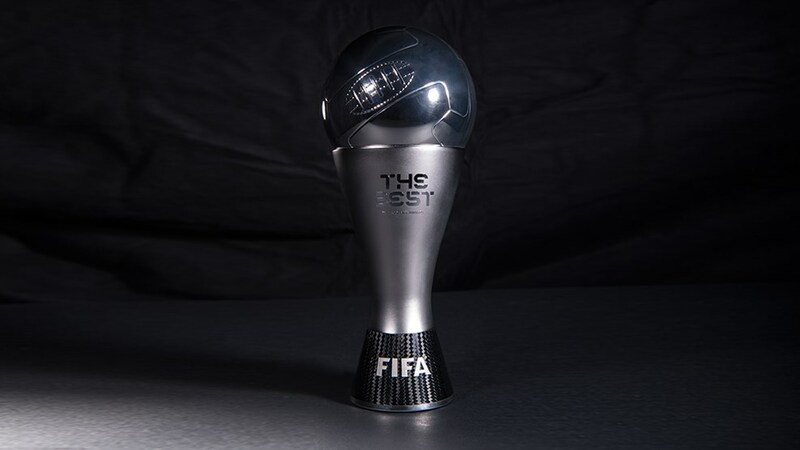 The nominees for The Best FIFA Men’s Player 2018: Cristiano Ronaldo, Kevin De Bruyne, Antoine Griezmann, Eden Hazard, Harry Kane, Kylian Mbappe, Lionel Messi, Luka Modric, Mohamed Salah and Raphael Varane. The nominees for The Best FIFA Men’s Coach 2018: The nominees for The Best FIFA Men’s Coach 2018: Massimiliano Allegri (Juventus), Stanislav Cherchesov (Russia National Team), Zlatko Dalic (Croatia National Team) ,Didier Deschamps (France National Team), Pep Guardiola (Manchester City), Jurgen Klopp (Liverpool FC), Roberto Martinez (Belgium National Team), Diego Simeone (Atletico Madrid), Gareth Southgate (England National Team), Ernesto Valverde (FC Barcelona) and Zinedine Zidane (Real Madrid – EX). The nominees for The Best FIFA Women’s Player 2018: Lucy Bronze, Pernille Harder, Ada Hegerberg, Amandine Henry, Sam Kerr, Saki Kumagai, Dzsenifer Marozsan, Marta, Megan Rapinoe, Wendie Renard. The nominees for The Best FIFA Women’s Coach 2018: Emma Hayes (ENG) – Chelsea Ladies, Stephan Lerch (GER) – VfL Wolfsburg, Mark Parsons (ENG) – Portland Thorns, Reynald Pedros (FRA) – Olympique Lyonnais, Alen Stajcic (AUS) – Australia national team, Asaka Takakura (JPN) – Japan national team, Vadao (BRA) – Brazil national team, Jorge Vilda (ESP) – Spain national team, Martina Voss-Tecklenburg (GER) – Switzerland national team and Sarina Wiegman (NED) – Netherlands national team. The next announcement which is The Best FIFA Men’s Player shortlist will be made at 4 pm.